Enough data entry and duplication. 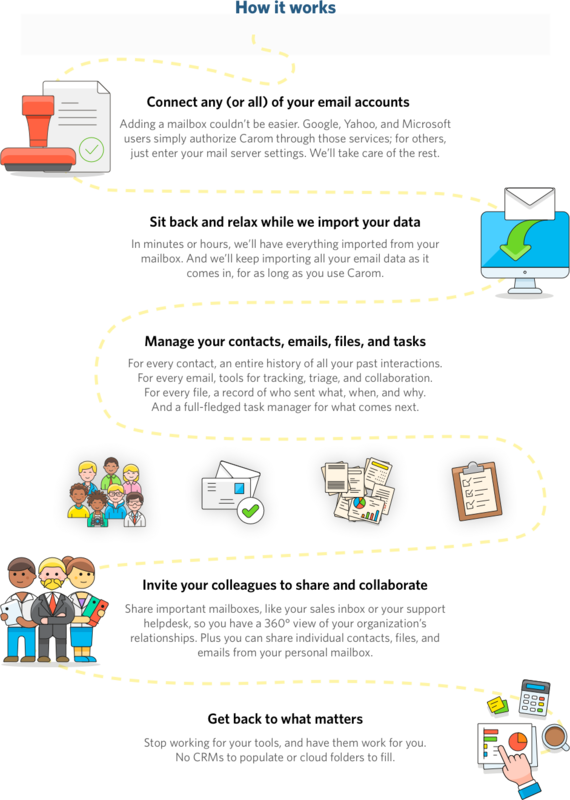 Your inbox is your rolodex, your to-do list, your file system. It’s how you work and how you collaborate. Other productivity tools—chat, CRM, document stores, and task managers—just create more work. We’ll automatically extract your contacts, conversations, files, and more from your inbox. And you can share anything (or nothing) with colleagues and across mailboxes. Email should make you more productive, not less. Easily see contacts associated with your emails, snooze until later, mark as resolved, or add a task to your agenda. Everything’s sortable by priority for when you’re tight on time. Email is still how documents are shared in the real world. Rather than searching through old emails to find the right attachment, we’ll show you who received what and when. With browser previews, you can even skip the download. 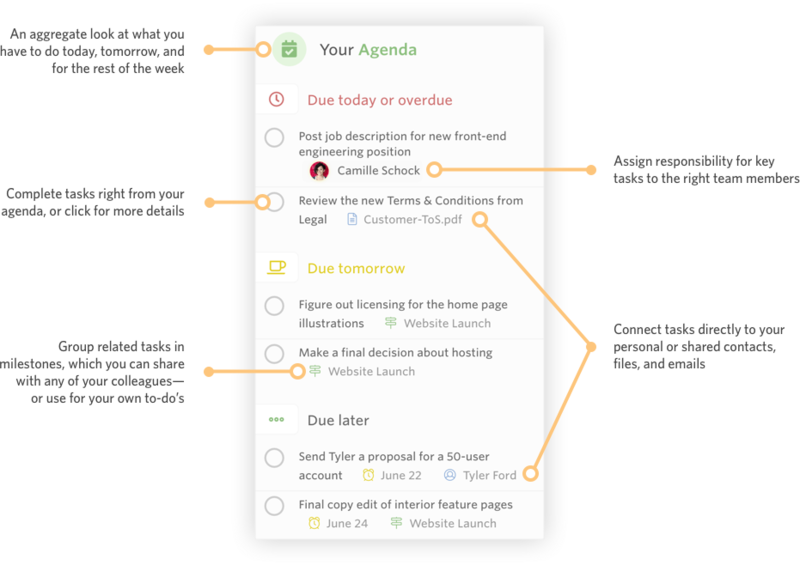 Our task manager shows you a daily and weekly agenda of your to-do’s, grouped into milestones and assigned to the right people. Get to-do’s out of your inbox (and out of your brain) and where they belong. Share entire mailboxes so everyone can access support histories, sales discussions, and more. Or share individual contacts, emails, and files from your own mailbox with just the people who need them.